Tea may be the possible weight loss aid you're looking for. Tea, a popular drink around the globe, offers many health benefits, including that it could be a possible weight loss aid. Yes, it may lend a helping hand when it comes to losing stubborn, unwanted fat. In 2005, the Linus Pauling Institute at Oregon State University reported an experiment involving 35 overweight men and women. The patients ended up with reduced BMIs – body weight indexes – and decreased body weight when they consumed 690 mg catechins of oolong tea combined with green tea extract every day for 12 weeks straight. Needles to say, those are very promising results for people looking to melt that unwanted fat away. So is tea really a possible weight loss aid? If so, how? Also, which teas will offer this helping hand? 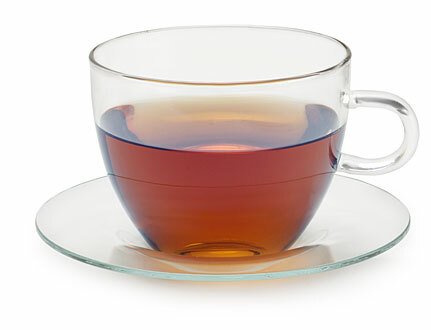 To start off, teas from the Camellia sinensis plant (black, white, oolong and green teas) naturally contain caffeine. This is significant when it comes to weight loss; as it sates on the United States Department of Agriculture website: “it is universally accepted that caffeinated tea raises metabolic rate because caffeine is a stimulant.” Also in 2005, a study was published by the “Alternative Medicine Review”, explaining that the caffeine in black tea extract helped curb appetite, it offered a burst of energy – this is wonderful for working out – and it increased metabolism in patients during the experiment. If you’re still not convinced that tea can help you lose weight, at least consider that thanks to its high amount of potent polyphenols, tea can improve your general health, which is a plus for those working out and trying to stay healthy in their attempt to lose weight. This is because polyphenols are loaded with strong antioxidant properties. One last attribute not to overlook is the fact that most teas are essentially, healthy. When you’re drinking tea, it’s not like you’re sucking down all that sugar that other drinks are loaded with like sodas and juices. In fact, as long as you don’t add milk, sugar or other flavors, black, white, green or oolong teas contain zero calories! Yup, tea is certainly, a wonderful drink, and a possible weight loss aid.